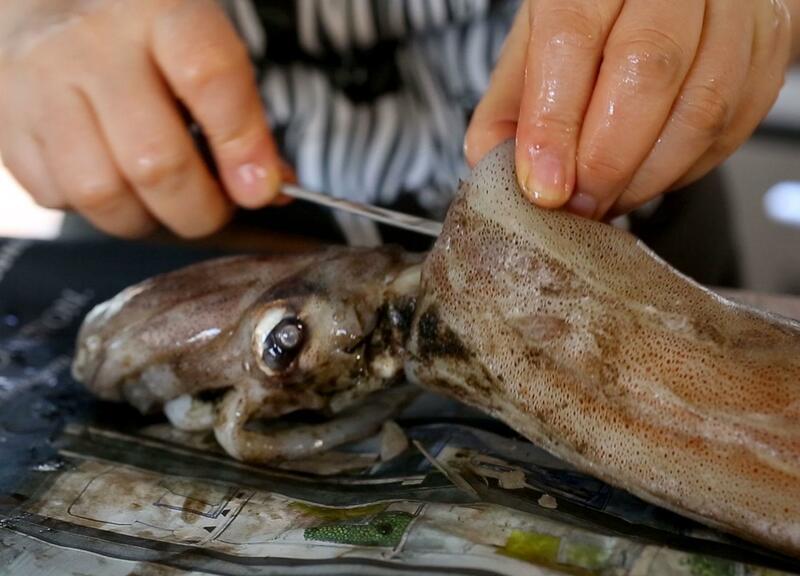 Cleaning and preparing a squid is easier than you might think. -Pull the tentacles away from the body of the squid. -Feel inside the body for the quill (it resembles a shard of plastic). Pull it out of the squid and discard. -Rinse inside the body of the squid in cold water. -Pull the ears (wing-like flaps) from the body. Pull the purplish skin from the ears and body to leave only the white meat. -Either slice the body of the squid into rings, or cut down one side of it, open it out, scrape away any traces of guts left inside the body, then score the inside lightly in a cross-hatch pattern. -Dry off the squid before cooking.